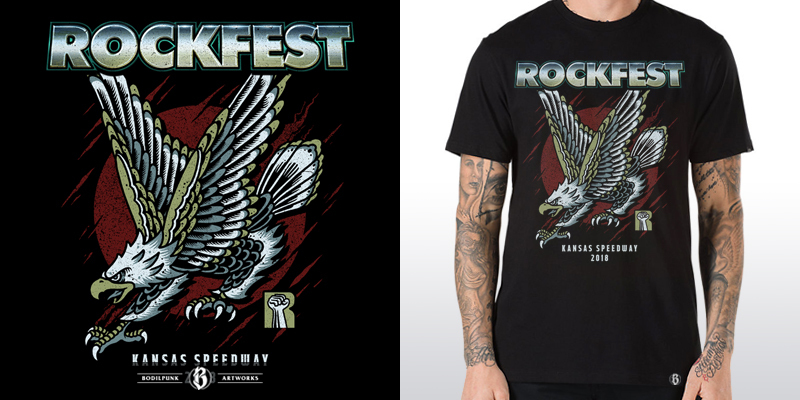 "Eagle Power" | Approved merchandise design for this year's Rockfest (US). Design I did for this weekend’s Rockfest, an American rock festival in Kansas City. 12 hours of non-stop live rock! Presented by @official989therock. I decided to publish an essay about great designs and wonderful educational thoughts and concepts on https://www.pinterest.com/pin/41447259056763669/. The hesitate thoughts and programs on systems and informative concepts.